The Pop Series Guitar is a high quality, innovative, versatile instrument that is available in a variety of eye-catching colors. The design strategy focused on two main issues: the lack of recent innovation in the guitar industry and the consumption of irreplaceable natural resources in the production of guitars. 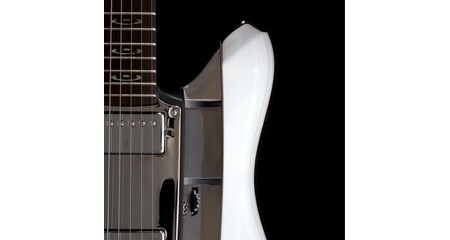 The Pop series guitars have been perfected for balance, ergonomics and tone. A wide assortment of ribs and bodies in many bold, contemporary colors can then be added to produce an infinite variety of styles to appeal to a wide array of consumers. From a sustainability standpoint, the amount of tone woods has been significantly reduced. Typically guitars contain eight to ten pounds of tone woods from the rain forests of Central and South America. The RKS Pop series uses less than two pounds, which is obtained from domestic tree farms.